"NX slated for March 2017, Zelda delayed again to next year for both Wii U/NX"
Nintendo today had its 2015 fiscal earnings report, and while they’ll be profiting this fiscal year (which takes place between April - March), it’s a 61% drop from the previous year. Though they expected most of that drop with an expected profit of 17 billion yen, they almost made it at 16.5 billion yen (approx. $145 million) compared to 41.8 billion. 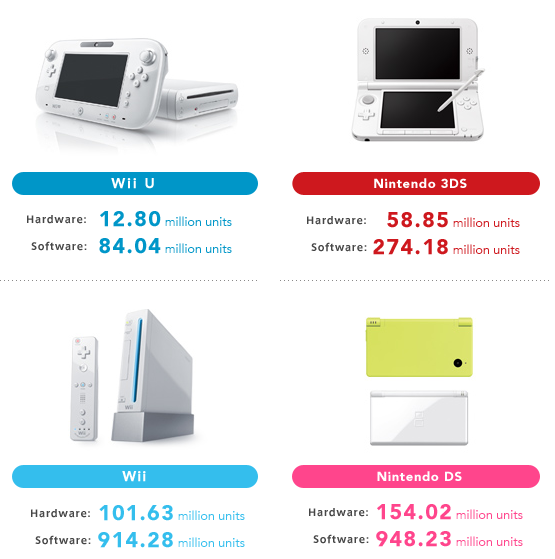 Within the fiscal year, Nintendo sold 6.70 million 3DS systems, 3.26 Wii U systems, 48.53 million 3DS games, 27.36 million Wii U games, 24.7 million amiibo figures and 28.9 million amiibo cards. This year they only expect to sell 800,000 Wii U systems(!) and 5 million 3DS systems. Their lifetime sales are listed below. Their first app, Miitomo has garnered 10 million downloads, and revenue seems to be on par of expectations though they didn’t say any numbers. Animal Crossing and Fire Emblem are the next two apps slated this fall for mobile devices, and will be more closely tied to their core gameplay systems, meaning they will play more like a normal Animal Crossing/Fire Emblem game. Nintendo’s commitment to transitioning over the last year has been the result of theme park expansions, mobile apps, and the NX, but their business models internally is also changing. They are creating a “Audit/Supervisory Committee and Officer System.” The end result seems to point to a more Westernized business model (for better or worse), and will change a lot of current higher ups into Executive Officers, including Nintendo of America and Europe presidents Reggie Fils-Aime and Satoru Shibata respectfully. Formally, it seems they are changing names to coincide with a traditional business model, using “Executive Officer” instead of using more vague terms like “General Manager” and “President,” though it’s unknown if they’re changing their day-to-day responsibilities and workloads, and to be honest, we will probably never know. That’s the gist of their performance this year, but that wasn’t the biggest news of the meeting. That was reserved for two things: Zelda and the NX. The still-codenamed NX system, which they tout having a “brand-new concept,” will launch in March 2017 globally. The system will also not be at E3 this year. In, fact, their show floor at E3 2016 will only consist of one game (though their presentation, whether a live press conference or a prerecorded Digital Event, could still show a lot more, like Pokemon Sun/Moon). 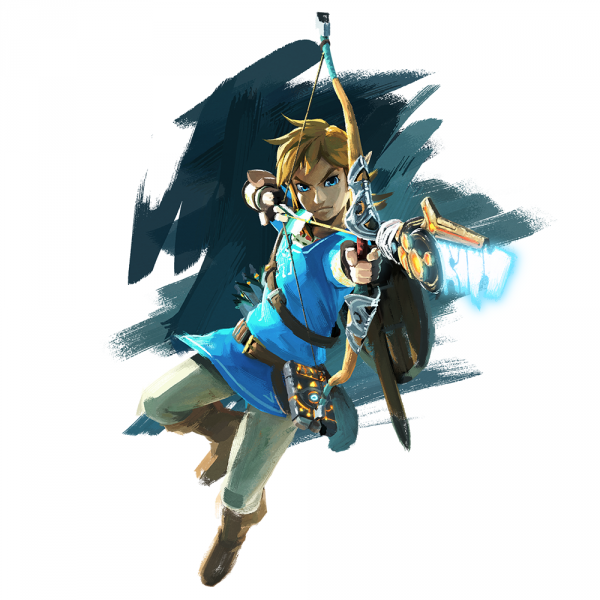 The sole Nintendo title will be playable at E3 the new Legend of Zelda for Wii U. Unfortunately, it seems it will not hit Wii U systems this year, as the game has been pushed back to 2017 as it hits the NX as well as Wii U. A tweet from Nintendo of Europe reconfirms this.